London Coffee Festival returned to The Old Truman Brewery at the weekend for its ninth year and the Hope&Glory team were on hand to make sure it was the most talked about event in the capital. With this being our third year, the team are well versed on all things coffee, including the many wonderful coffee-related happenings going on around the festival. 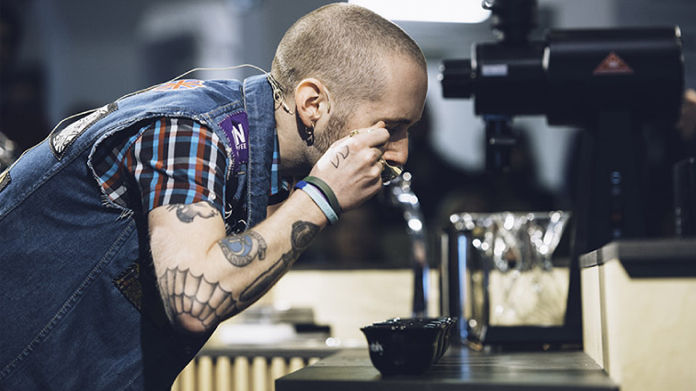 From cup-tastings to brew-offs to latte art throwdowns, there is plenty to keep attendees excited – and more than a few cups of coffee to keep them dosed up on caffeine too. In the run up to the festival we worked hard to land listings coverage across the London and lifestyle media, driving attendance for the festival. We also celebrated the events, brands and people who make the festival so exciting through a series of creative features with the likes of Evening Standard, Metro, Absolutely and Secret London. Finally, in the few days before the festival, we issued a data story from the Allegra World Coffee Report around the growth of the coffee industry and the potential barista shortage driven by this amazing trajectory. This piqued the media interest and delivered a wealth of coverage at a crucial time, landing in titles including Sky News, The Times, Mail Online and Independent. Overall, we secured upwards of 300 pieces of coverage for the festival before we had even had our first flat white. Whilst on site, we also hosted over 200 media and influencers for interviews, barista masterclasses, mindful coffee tastings, cocktail workshops and, of course, more than a few cups of coffee. Another successful year! If you need us, we’ll be rustling up a Kalita Wave using Yirgacheffe beans because that’s how we drink our coffee now.